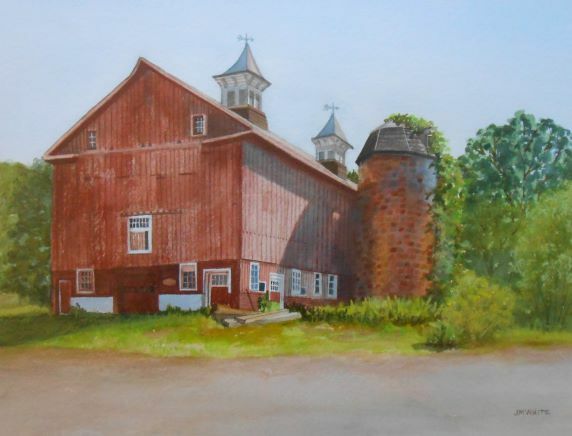 The Clinton Art Association was established in 1949 by a small group of professional artists dedicated to growth of the arts along the Connecticut shoreline. The CAS has become a vibrant influence on the arts in Connecticut and its members represent towns across Connecticut and throughout New England. 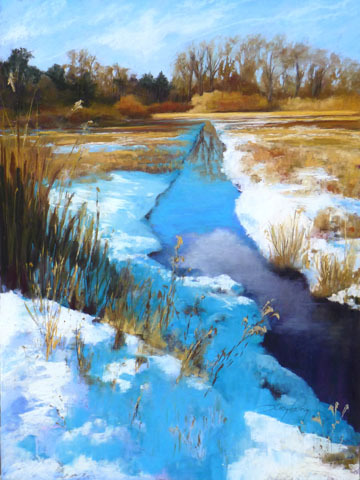 Member artists work in all fine-art media including painting and sculpture. Their collective talents bring styles ranging from traditional to abstract. 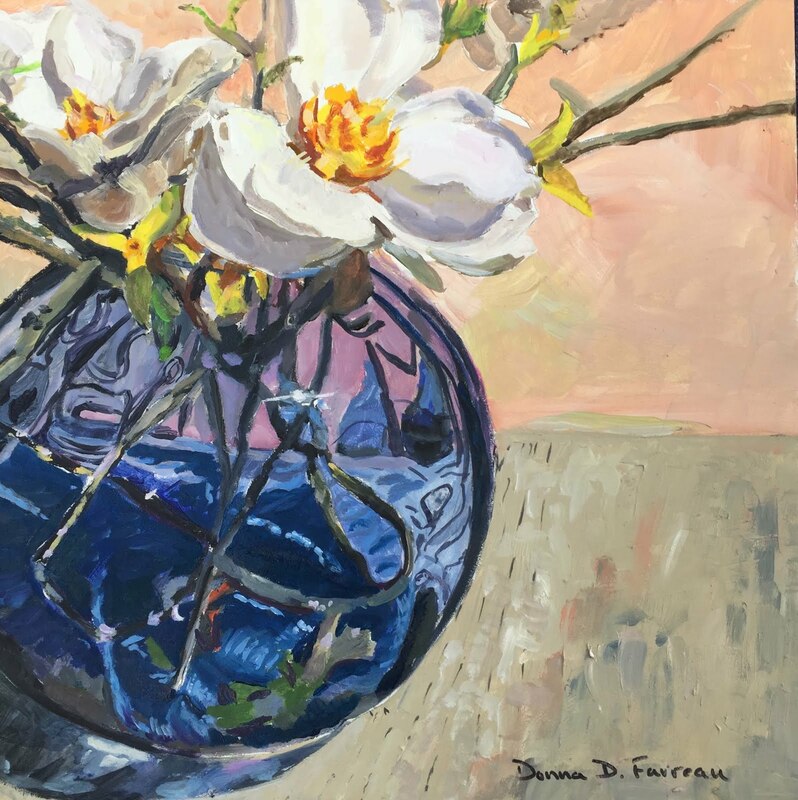 The work of artist Penelope "Penny" Chittenden will be on display at Waters Edge Gallery Dec 1, 2016 through Jan. 31, 2017. Penny began her art career very early, scribbling on the wallpaper. Soon she was enrolled in classes at the Wadsworth Atheneum where she fell in love with Fine Art and the fun of creating. She won the Art Award at the Chaffee School and went on to major in Art History at Goucher College. After graduation she worked in the Education Department at the Wadsworth Atheneum. 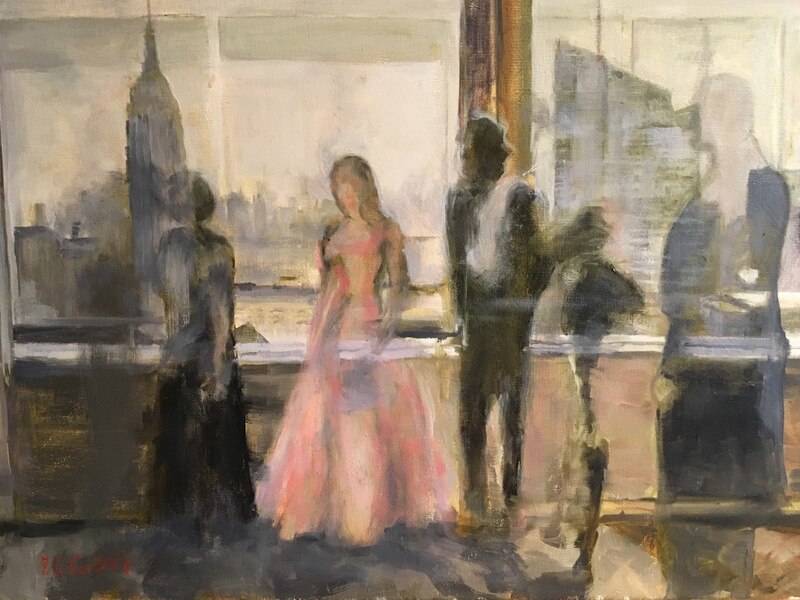 Penny has studied with Lou Bonamarte, BettyLou Schlemm, Judi Betts, Charles Movalli and other internationally known painters. Her favorite subject is light. 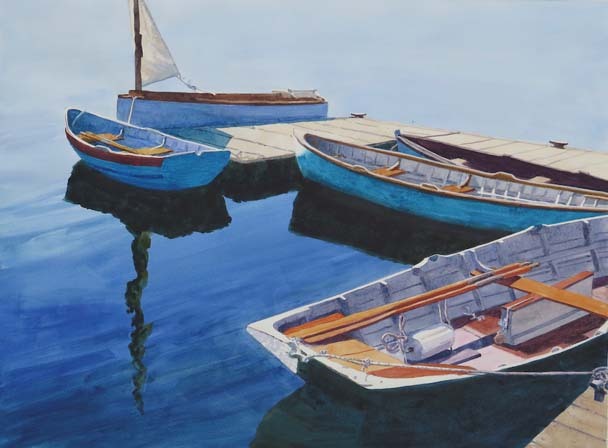 She uses watercolors to express the light in her land and seascapes, still lifes and florals. "Celebrate the world; enjoy its nuances", Penny often muses, when asked about her inspiration as an artist. Penny has exhibited throughout Connecticut and led art groups to Holland, Belgium, France, Greece and Spain. 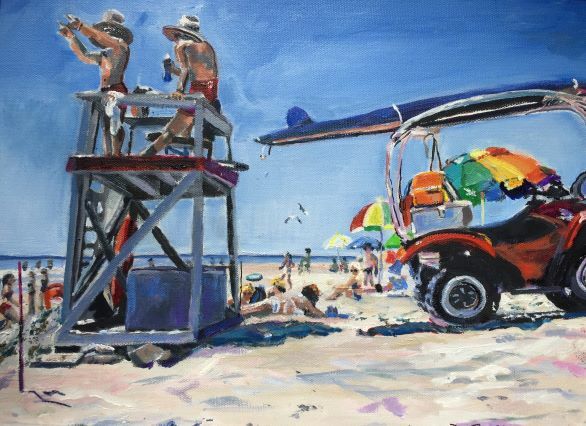 Penny feels honored to know and paint with many great artists on the CT shoreline. The Waters Edge Gallery is accessible off the resort’s Main Lobby and is open daily to the public. The exhibit continues through January 31, 2017. As an X-Ray technologist, I learned to see in black and white and shades of gray. I had to retrain my eyes and brain to see and think in color. Many “Paint by Numbers” kits in childhood, gave me an addiction to the smell of oil paint and linseed oil. 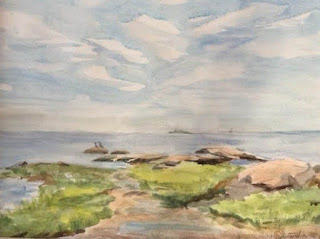 When I realized that I could draw, I took many classes with local Connecticut Artists and did a lot of independent study. I did watercolors and stained glass at local craft fairs for several years. I joined the Art Guild of Middletown, CT, Studio 53/Arts and Crafts of Meriden, took classes and workshops and became active in the art world. I taught oil painting classes for Senior Citizens in Middletown and Cromwell Ct for 12 years and taught at Salvation Army Adult Day Care while working part time as an Assistant Town Clerk in Middlefield, CT.
I’ve won numerous awards for my oils and a best in show “ for my first pastel! I am now an elected member of the Clinton Art Society, Middletown Art Society, Madison Art Society, was a core member of the Maple and Main Gallery in Chester, CT and a founding member of Clinton Art Gallery. I have been accepted in many Juried Shows. I have been part of Five Women Painting and now River Valley Artists group. My paintings hang in homes throughout the United States, Canada and England. I recently sold two Oil Monotype Paintings to the new Davis Heart Vascular Center at Baystate Medical Center in Springfield, MA. I started Plein Air painting with the Madison Art Society and enjoy it immensely. Lots of my new paintings are done outdoors. I recently went Mandelieu-La Napoule, France for in intensive outdoor painting workshop and painted by the canals of Venice, Italy, full of beauty and decay. 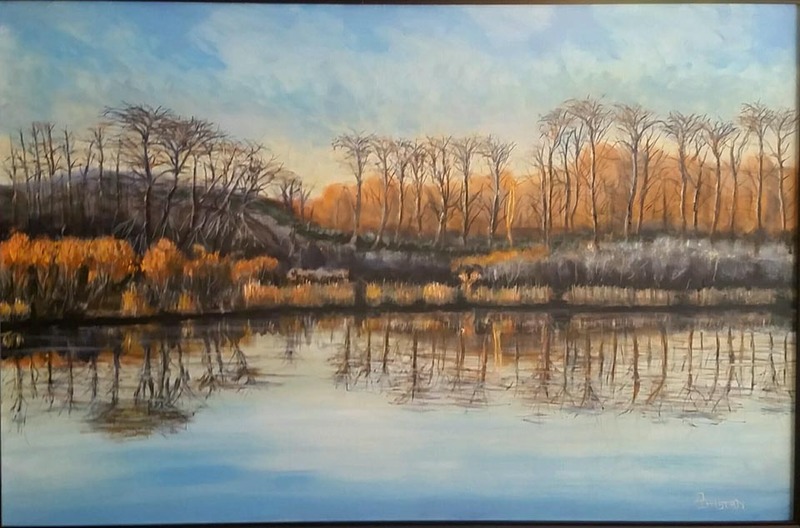 November 1, 2018 Through January 31, 2019	Clinton Art Society Exhibition Winners Meet the Artists Reception – Friday, November 16 from 5-7 pm. Andrews Memorial Town Hall, 54 East Main Street, Clinton Featuring the work of JoAnna Chapin, Hilary Griffin, and Karen Wiesner, juror-selected winners of The Exhibition Prize at CAS 2018 Exhibitions. 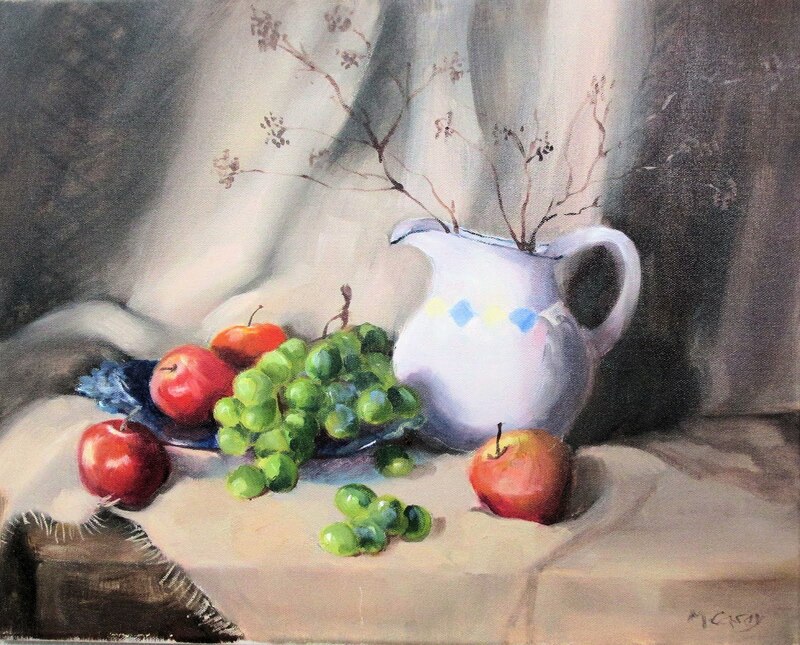 November 1, 2018 Through January 31, 2019	Liberty Bank/Stanton Professional Building, 8 East Main Street, Clinton Oil Painter Marilee Noonan explores still life and landscapes subjects. 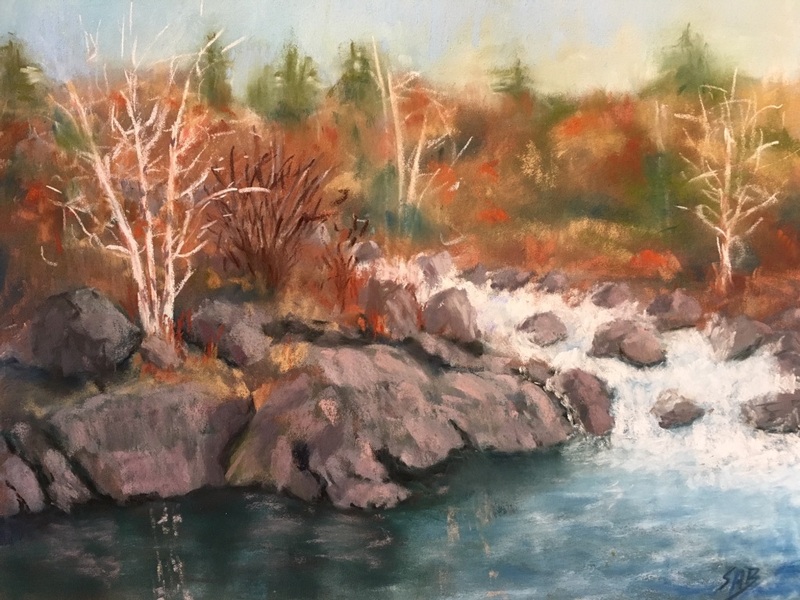 November 1, 2018 Through January 31, 2019	Water’s Edge Resort Gallery, 1585 Boston Post Road, Westbrook Madison resident Marge Casey showcases a retrospective of her oils and pastels. 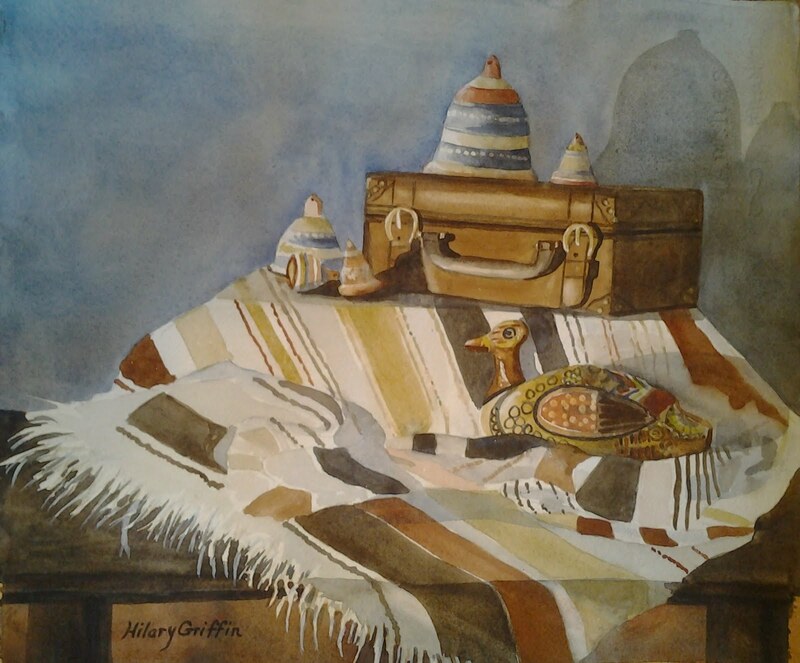 A Selection of works by noted Clinton artists Lucille Grimm, Cora Howard, and others. Click on image to open web site. Web Master: Paul Loescher. Watermark theme. Powered by Blogger.